Acclaimed French designer Phillippe Starck revealed in a recent interview that he has been working with Apple on a "revolutionary" new product that will be revealed within the next 8 months. Starck revealed the information in a radio interview with France Info, as discovered by HardMac. No further details were given on what the product may be. "Indeed, there is a big project together which will be out in eight months," Starck said, according to a translation. He cited Apple's "religious cult of secrecy" for declining to divulge any further information, though he did say the new project is "quite revolutionary." Starck also revealed that he met regularly with Apple co-founder Steve Jobs before he passed away last October. The designer said he would see Jobs around once a month in his Palo Alto home for seven years, and he now meets with Jobs's widow, Laurene Powell, when he is in California. The design work of Starck is wide reaching, ranging from products like toothbrushes and motorcycles to furnishings, building interiors, and even windmills. There's no indication that Starck has worked with Apple in any capacity before, though he did design premium iPhone/iPod speakers and headphones for the company Parrot in 2008. 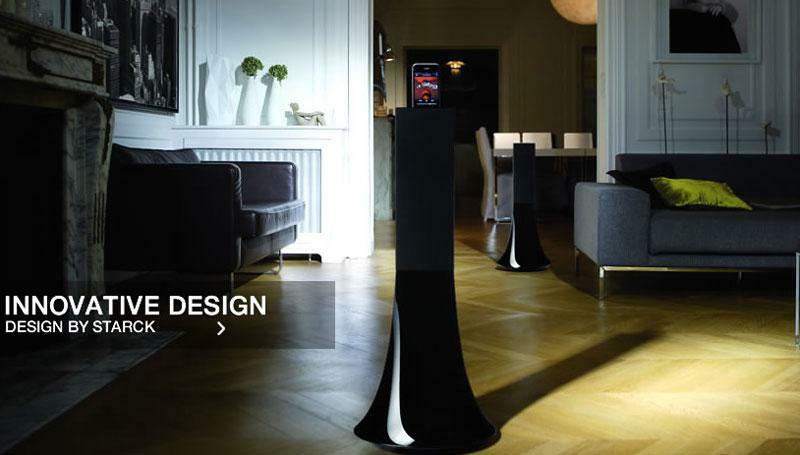 The Zikmu Parrot speakers by Starck currently sell for around $1,600, while the ZIK Parrot headphones are advertised as "coming in 2012." The comments from Starck will undoubtedly fuel speculation about a rumored Apple television set that the company is believed to be working on. Early this year, one report claimed that Apple's own design chief, Jony Ive, has a 50-inch Apple television housed in his secure design studio. As for Starck's "revolutionary" comment, it could be related to comments made by Jobs himself to biographer Walter Isaacson. In interviews for Isaacson's book released last year, Jobs said he had "cracked" the secret to building an integrated, easy-to-use television set that will have "the simplest user interface you imagine." Of course, Starck's apparent work with Apple could also be related to something entirely different, such as a forthcoming redesigned iPhone. The company is expected to launch a new iPhone late this year, featuring a completely redesigned exterior for the iPhone 4 and iPhone 4S.